White Wedding Cake custom designed 3 tier modern ruffle wedding cake. 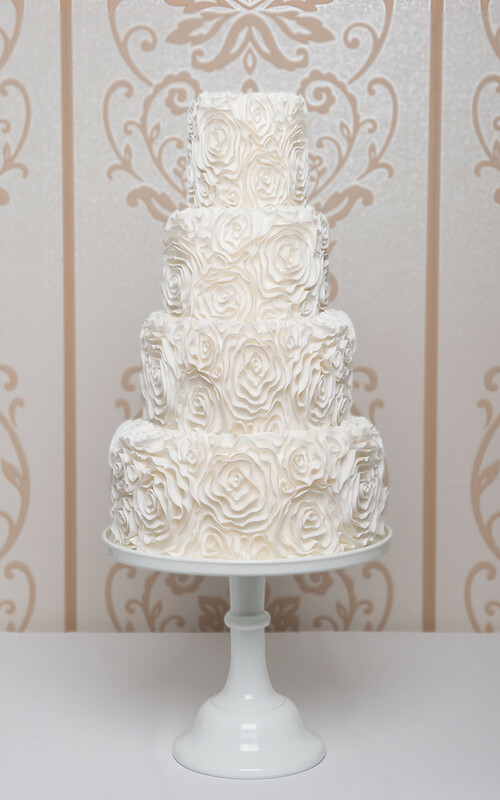 Ruffled white wedding cake – Delicate frills are intricately arranged to create this elegant romantic design. 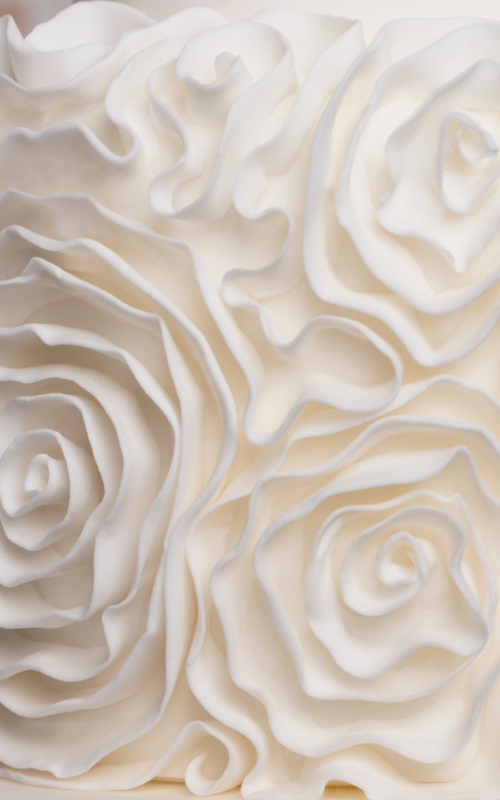 When light hits the cake an ethereal glow will add to the over all effect, highlighting the handcrafted detail.